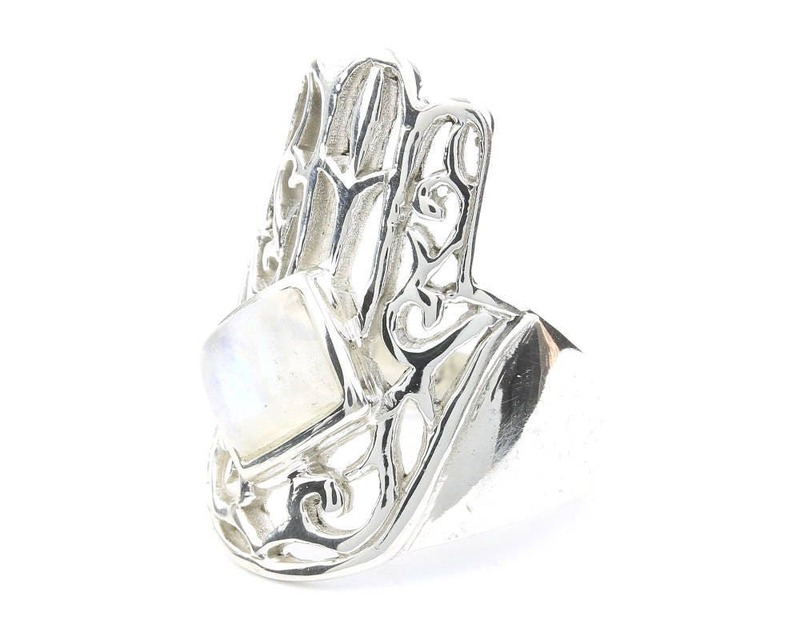 Beautifully detailed sterling silver Hamsa ring. The Hamsa is a beautiful sign of protection, the hand of God. 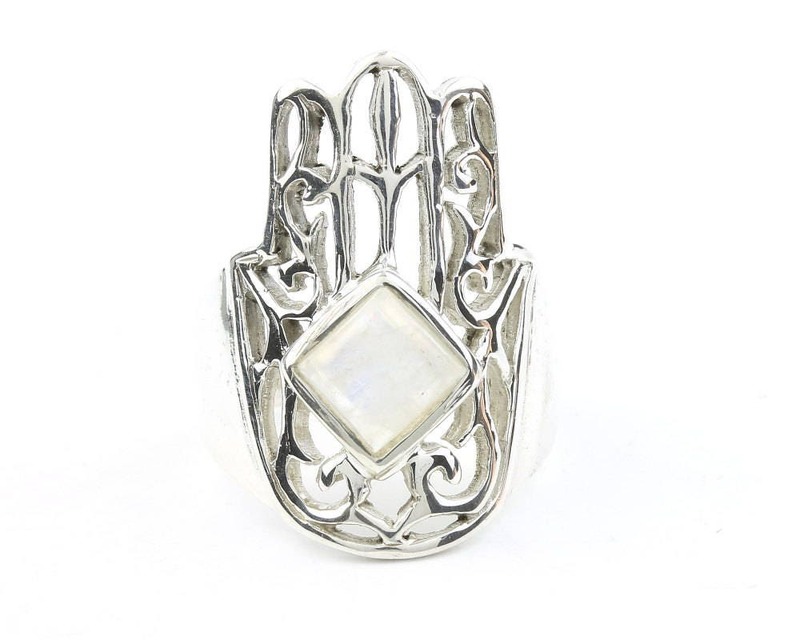 Inside the Hamsa sits a Moonstone accent stone. Please Note: This is a genuine gemstone piece. This stone was made by nature, each is unique and may vary slightly from what is pictured.